Because of reasons I can’t quite put a finger on, le blog is going on haitus for an undetermined amount of time. I’ll let you know once I’ve caught my breath. Mary Catherine, though she doesn’t blog regularly, seems to be taking over my blog with all of her great articles. A few weeks ago she shared her do-it-yourself guide to Weight Watchers, and today I’m sharing her best macaroni and cheese recipe, according to her husband. The original recipe for this was Alton Brown’s baked macaroni and cheese, but I changed it quite a bit because of our food preferences and what we had on hand. I don’t like buying spices that I will only use in one recipe. Cut the bacon into small squares and cook over medium high heat until brown and crispy. Remove bacon from the pan and drain the fat. There is no need to wash this pan or use another one. Fewer pans, fewer dishes. Once the butter is melted, slowly add the 3 tablespoons of flour. You may not use all 3, or you may need more. If you’ve never made a roux before, it can be frustrating the first time. You’re basically cooking the flour. Once you have the butter/flour combined, keep it moving until it’s cooked to a dark yellow/blond color. It will start to smell a little nutty. Now is probably a good time to start the water for your pasta and pre-heat the oven to 350 degrees Fahrenheit. Once the roux is at the right color, slowly add the 3 cups of milk. Keep it moving. Using a whisk here really helps to break up the roux and incorporate it into the milk. Room temperature milk works best, because if you add milk that is too cold too fast the roux will seize up into one giant clump. Even if this happens, it’s OK. Just strain it out, dump it, and continue to make the sauce. The difference is just in the thickness of the finished product. Keep stirring the milk/roux regularly and let it heat over medium low temperature. Add salt, pepper, mustard powder and hot sauce at this point. Once the milk has warmed and thickened (usually about 10-15 minutes), add the shredded cheese. Stir it in until it’s mostly melted. Now add the cheese sauce to the cooked, drained pasta and mix it all together. Throw in the bacon and frozen peas (no need to thaw them out before this point; they will cook in the oven) and combine. Pour the entire mixture into your casserole. On top, add a small layer of shredded cheese. Then sprinkle the butter-coated bread crumbs on top of the cheese. Stick it in your oven and let it go. Cook time will depend on the dimensions of your casserole. Ours is really tall/narrow, so it takes a little bit longer to cook than if you were using a shallow dish. I think I usually cook mine anywhere between 20 and 30 minutes. I just check it after 20 minutes and pull it out when it’s golden brown and bubbly. We just eat this by itself. It also reheats really well for lunch the next day. Thanks, Mary Catherine! Christian and I thought we had found the most delicious mac-and-cheese recipe, but we might have to try yours before we say that for sure. So… when I first started the Great October Blog Purge, it was increasingly difficult to choose 5 blogs from which to unsubscribe. It got a little easier the last week. The third week took me about a minute. And in the last week, I went a little crazy. This week, there are 22 victims of the purge. I seriously pared down the subscriptions I had left, leaving me with… 130 subscriptions. OK. Don’t say anything. I know. I’m not going to describe all these blogs; instead, I’m just going to list them by category (fitness, cooking and miscellaneous) and let you decide which ones are worth visiting at least, or maybe even subscribing to in order to make up for my unsubscribing. As I’ve said before, none of these blogs are bad. I just have too many things going on. Something strange is not only afoot at the Circle K, but also at this here blog. I’m guessing maybe one of you got the movie reference (Hey, Christian). If you’re observant, you’ll realize it’s Friday, and this is not a typical Friday post. Normally, I’m regaling you with my fitness adventures, but ever since plantaar fasciitis got hold of me, fitness hasn’t really been all that exciting. I’ve been going to the gym just as much, but honestly, telling you about riding the bike at the gym is about as boring as riding the bike at the gym. So we’re taking a break from Fitness Friday. Instead, I’d like to announce some new features of brown eyed basics that I hope you’ll enjoy. I sometimes feel bound to only post once a day, even when there are little things I’d like to share. I will still continue to post at least once a day Monday-Saturday, but I may throw in small bits of encouragement on Sundays, and I may post a few times at week in the evenings. In an effort to encourage community around here, I’ll be choosing a blog to highlight every week. I’ll write a short synposis of the blog at the beginning of the week, and you’ll be able to see the RSS feed for that blog over on the sidebar. I hope this will encourage you to check out some of my favorite blogs! Every other week or so, I’ll be sharing a letter I’ve received from the little girl I sponsor through Compassion. If you read my guest post at Gather Little by Little or my short blurb on Blog Action Day, you know that Compassion is very close to my heart. I hope that by sharing the letters and pictures she sends me, you’ll develop a passion for releasing children from poverty in Jesus’ name, too. I’ve got the child packet of a little girl named Herieth who needs a sponsor within the next three weeks, and there are plenty more where she comes from! I just started getting into podcasts. My job is such that when I’m doing certain tasks, I’m able to listen to my iPod, so I’ve been taking advantage of sermons that are available online. Of course, there are more than just sermons online, but I’ve been so encouraged to listen to preachers like Dr. Sinclair Ferguson. Each week, I’ll share at least one that God really used to influence me. I’ve mentioned how much I enjoy personal finance blogs. I don’t necessarily want to create me own personal finance blog, but the older I get, the bigger role money plays in my life, and I’ve got a few posts on the drawing board. I hope these will be helpful for those of you who are like me – not looking for complicated articles, but rather, small tips that have helped me financially. This is, after all, brown eyed basics. I have a planner where I try to plan for future blog posts. I generally plan two weeks or so in advance (although I don’t write them that far), so over on the margin of the monthly calendar I jot down little ideas. I’ve been trying a lot of new recipes lately and don’t want to wait to write about them until I’ve forgotten the whole experience of making them, so I’m hoping to post at least one new recipe every week. My post on using Google Calendar remains, as it did on my other blog, my most popular post so far. Apparently I’m not the only one obsessed with organization. I hope to do some more posts similar to that on other online applications I’ve found useful. If you’ve got one in mind you’d like to see, shoot me an e-mail and let me know. It’s kind of hard to believe that I’m actually planning on doing more here than I’m already doing, because sometimes I feel like it’s hard enough to think of one post for each day, but I feel like I’ve got a lot of momentum right now and I’m excited about the future. If Feedburner would just start showing that I have more than one reader, life would be perfect. Don’t forget to come back tomorrow for the last installment of the Great October Blog Purge! 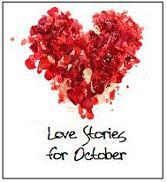 This post is part of Owlhaven’s Love Stories for October. You can click here to see the last three installments. The signs for I-75. Heavy traffic that predicted nearness to Atlanta. Two hours of mundane East Georgia scenery. Counting down 58 exits in South Carolina. These were all things that normally brought bittersweet feelings. My mind would be filled with memories of a weekend with Christian in the Tennessee mountains, and my heart would well up within me. Then I would remember the tests I had coming up that week. How I needed to go to the grocery store. My bathroom was really dirty. This time, though, the 400 miles went by in a heartbeat, because just in front of me was a ramshackle black Toyota Camry, and I could see Christian’s head bobbing to his music. We were in separate cars, yes. But for the first time, I wasn’t leaving Tennessee alone, and there would be no more long goodbyes when Christian left South Carolina. In the last week, we had both graduated from our respective colleges. My life would change very little, but Christian had packed up all his worldly possessions and loaded them into our cars. There were several glorious days when neither of us had started working. The weather wasn’t too hot yet. We went for long runs together. Cooked together. Watched movies. Hung out with friends. I remember the first time I felt like I had a boyfriend. For real. It was his first day of work. I had free movie passes I wanted to watch. Christian came by after he got done with work and picked me up at my apartment. We went to dinner and to the movies, then he dropped me off and he went home. So mundane. So trivial. So normal. It took most of the summer for it to really hit me that he was here. For good. And we’d never have to be apart for such a long time again. We didn’t see each other every day, and we still don’t now, but we’re looking ahead to marriage, and we’re so excited about the future. As I write this, I’m on his computer in the living room of his apartment. I just got done eating dinner with friends, and he’s in the kitchen heating up leftovers. When he comes back, we will watch a movie together. And then I will go home, go to bed, and go to work tomorrow. And he’ll still be in the same town as me. 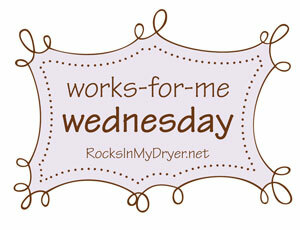 Today’s a special edition of Works-for-me-Wednesday. Instead of focusing it on making my life easier, I’m hoping God will use this post to help out a fellow blogger. Thanks for stopping by from Shannon’s blog, but please don’t stay long! Go help Amy Beth! I’ve been reading Amy Beth’s blog since the beginning of the summer, and I’m continually blessed by her heart for God. She heads up a ministry for girls in a small town in Tennessee not so far from where Christian is from, so I feel a special bond with her. Her program, Starlite Ministries, serves elementary, middle and high school girls in her area. She does it by enlisting the help of college girls at the place where she went to college. Starlite is God-centered and girl-focused, and it’s not surprising that God has grown the ministry in big ways. But times are tough. One of their biggest donors isn’t able to give as much this year, so Amy Beth has been looking for other ways to help fund Starlite. She just posted about an opportunity from Microsoft on her blog. All you have to do is download a toolbar into Internet Explorer (I don’t even use Internet Explorer, so it doesn’t bother me at all to download it). Starlite will receive money based on the number of downloads. Sure, obsessing over calendars and figuring out how to cure toothaches work for me, but serving God by serving these girls really works for me. So head over to Amy Beth’s blog and download that toolbar! Because I want to get to know my readers better, I’ve got a proposition for you that may help you get a few more clicks to your blog. My blogroll is one of my most clicked-on pages, and most people who visit it click-through to the blogs listed. If you’ve been reading brown eyed basics regularly and have a blog you’d like to promote, let me know, and I’ll happily include you in the new “readers’ blogs” section of my blogroll. Leave a comment on this post or e-mail me letting me know you’d like to be added! Update: I’ve added a little widget with the number of readers I purportedly have, but I’m really discouraged. Not because it says that I have only 3 readers (when clearly, I have more, since I’ve got 5 people on my blogroll in less than 24 hours), but because Feedburner can’t seem to decide. That widget says 3, but when I sign into Feedburner, it says I have 0 subscribers. I seem to be the victim of its wily whims. Anyone else ever have this problem? Good food, organizing tips and keeping things simple... life's complicated enough already.